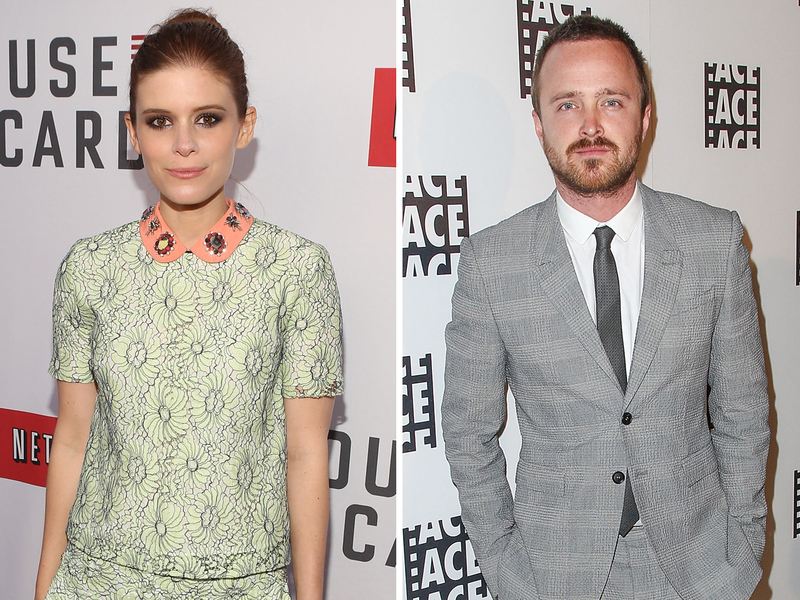 Actors Kata Mara and Aaron Paul have been tapped to announce the nominations for this year's Primetime Emmy Awards. Mara ("House of Cards"), and Paul ("Breaking Bad"), will join Academy of Television Arts & Sciences Chairman-CEO, Bruce Rosenblum to read the nominees' names live on July 18 at 5:40 a.m. PT/8:40 a.m. ET from the Television Academy's Leonard H. Goldenson Theatre in North Hollywood, Calif. The announcement will be streamed live on emmys.com. Paul is no stranger to the Emmys -- he's been nominated three times in the supporting actor category for his role as Jesse Pinkman on "Breaking Bad" and has won the prize twice (2010 and 2012). Mara may also see her own name on the nominees' list -- she stars on Netflix's acclaimed drama "House of Cards" as reporter Zoe Barens. The 65th annual Primetime Emmy Awards will be handed out on Sept. 22, in a ceremony airing live on CBS from the Nokia Theatre L.A. LIVE in Los Angeles. Neil Patrick Harris will serve as host.